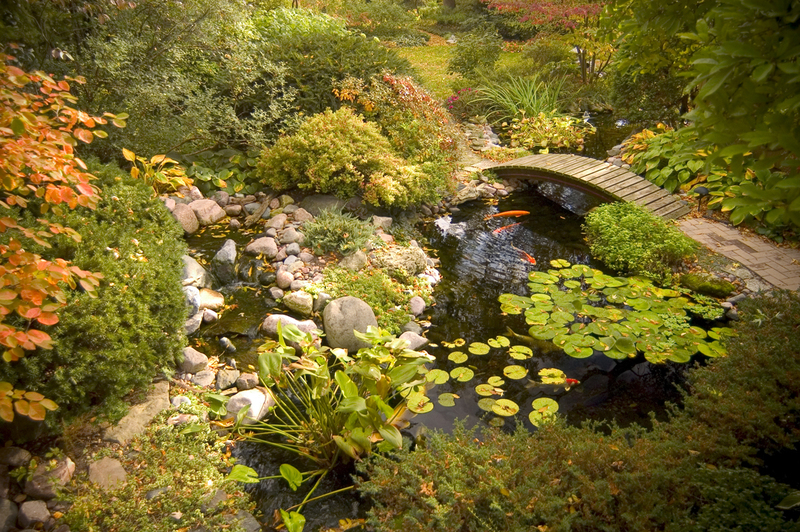 A special note to everyone that created these wonderful and beautiful ponds and rivers. 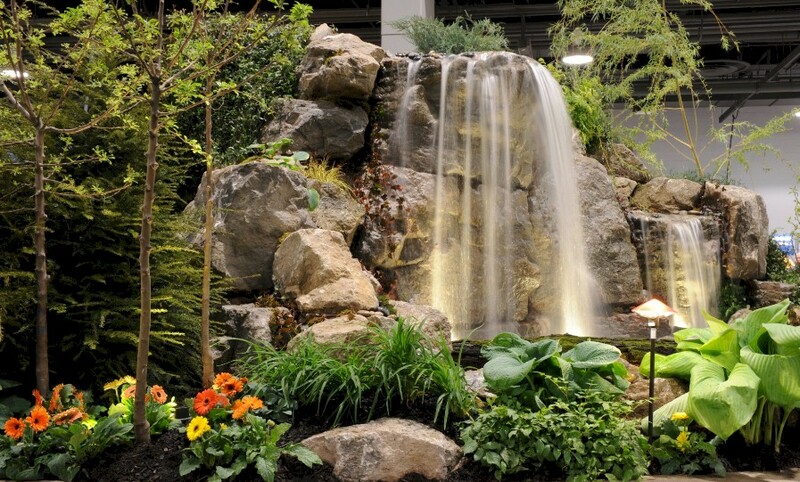 2 Thumbs up you have been Mr.Waterfalls approved and are worthy of creating great things. 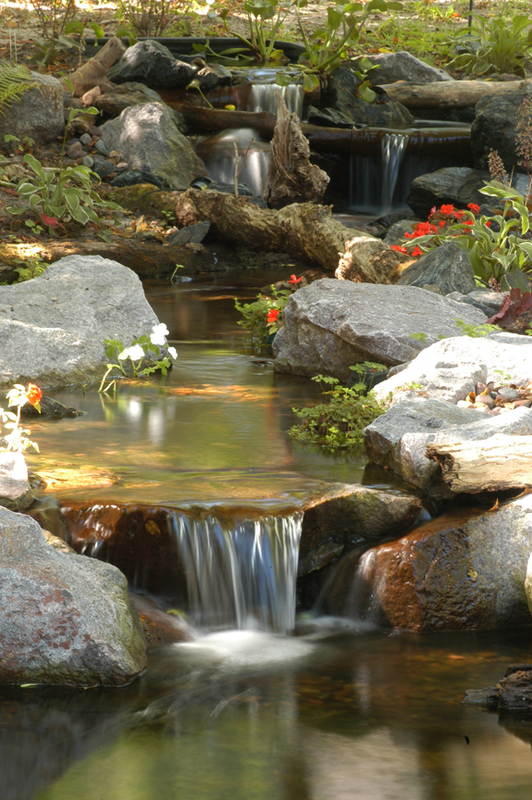 ALL PONDLESS WATERFALLS CAN BE UPGRADED TO A KOI OR GOLD FISH POND. 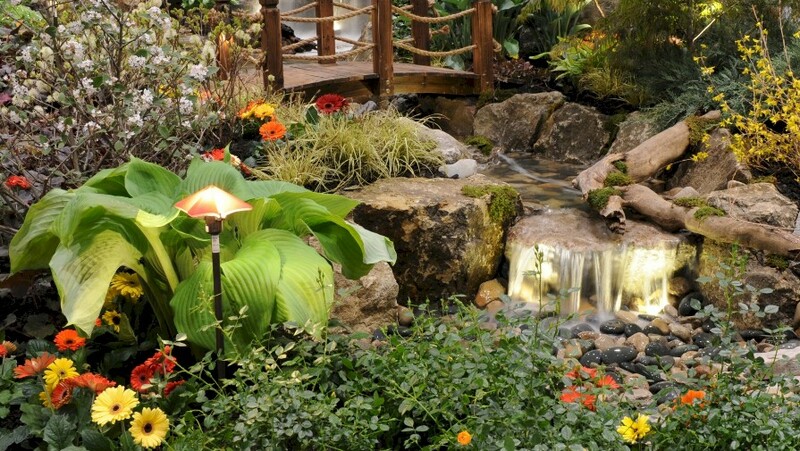 So for this water feature the price is around $25,000. with landscape included. 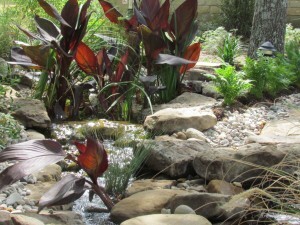 The river could be made longer and it could be turned into a pond. 2.This pond is a 21 x 15 with the water falls on the edge of the pond. Can be upgraded with a small stream. Its approx. 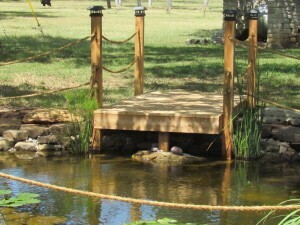 3 feet deep with different level pond shelves. Approx. price for this water feature is around $14000.00 with landscape included. 3. 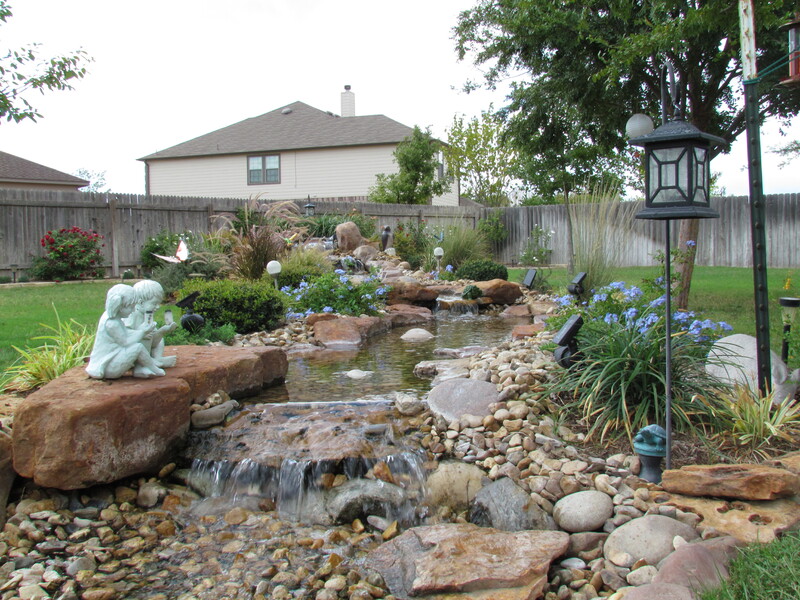 This water feature is a koi pond plus mini river and upper bog area with a small waterfall at the top and numerous waterfalls leading to the 20x 20 pond. 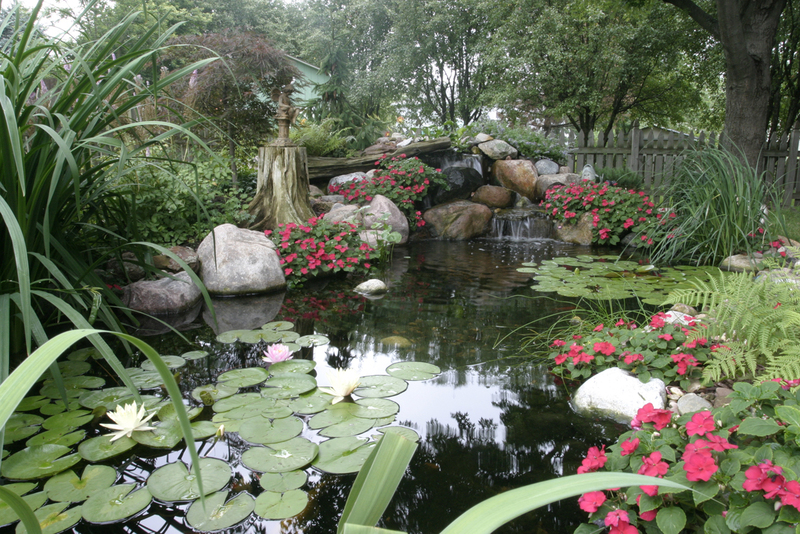 You do not have to have a hill in your yard for this one, everything is built up from the digging of the pond. Larger equipment is need to move these size rocks. This pond is a show stopper and everyone will talk about this one. 4. 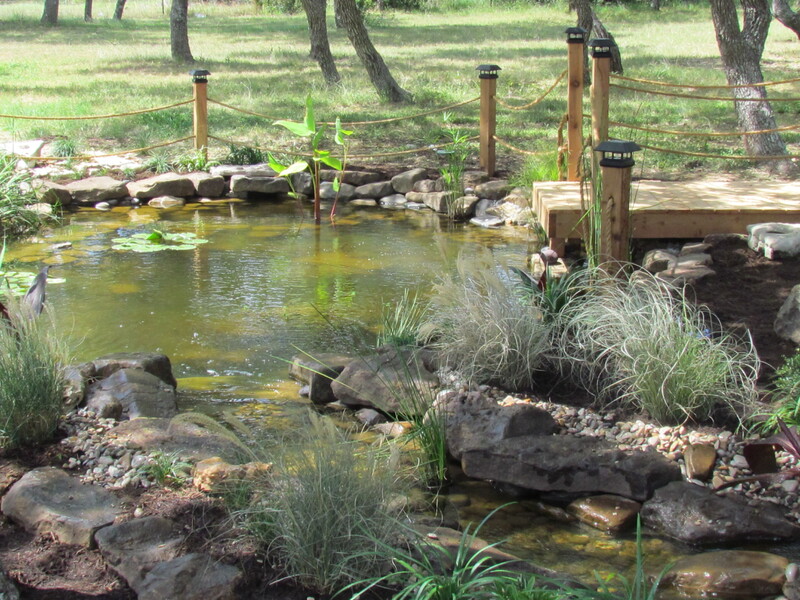 This pond is a 3 part mini pond, deepest depth 2.5 feet with a mini stream and a low water bog at the far end. 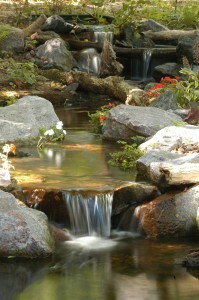 Water flows from the corner and enters in the center with small cascading waterfall. 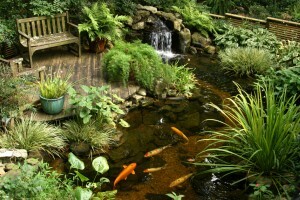 the patio can be made from brick or flagstone. 5. 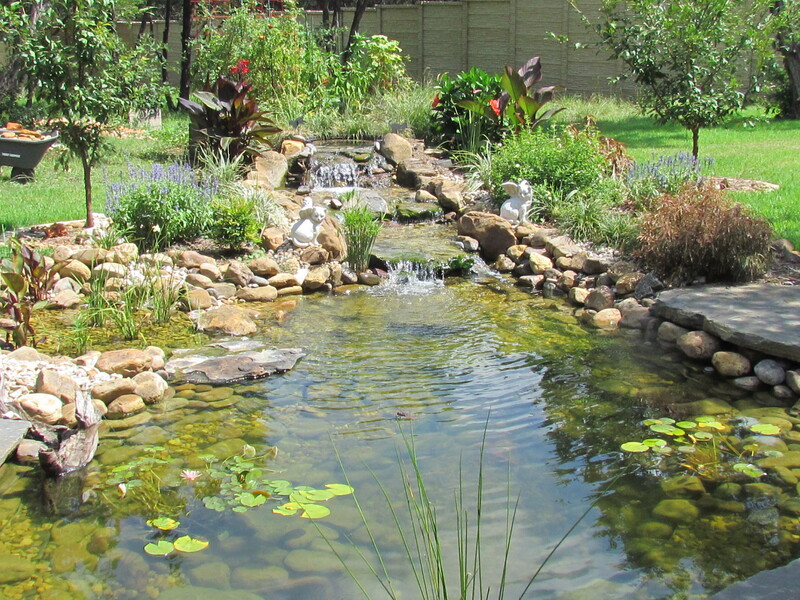 This small pond with a 20 stream and small waterfall at the top is sure to please. 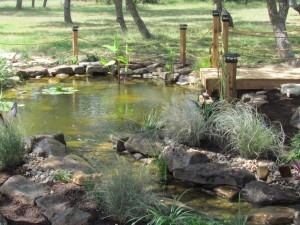 Approx price for this pond and stream combo is around $12,500.00 with bridge and landscape and outdoor lighting included. 6.This is a 2 part pond and a 2 part waterfall and bog with a bridge. 7. Don’t have much room, you can still have a small water garden with a deck approx 2000 gallons up to 3 feet deep. Good for koi or goldfish or both. Approx. 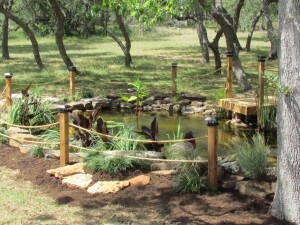 price for this pond is around $10,000.00 landscape included. 8. 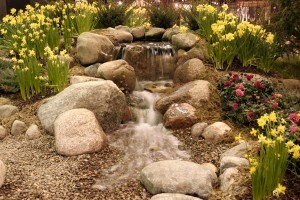 This is a pondless water feature, not much to say about this one but these type of water features are very inexpensive. 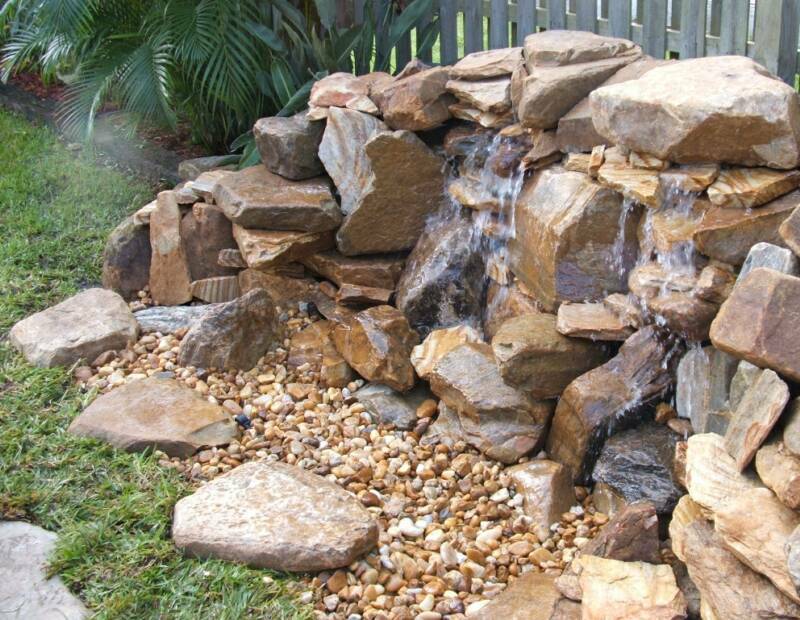 Fully landscaped this recirculating water feature is sure to give you the sounds of crashing water without the crashing of your check book. 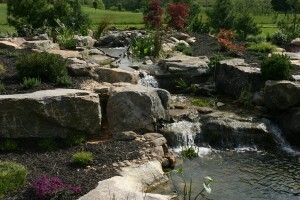 9.This is also a pondless waterfall same as #8 but quite different. 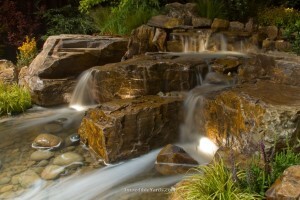 This a a multi-split waterfall and much larger rocks were used for this one. Waterfalls pushing 10000 gallons an hour makes this a mini Niagara fall. 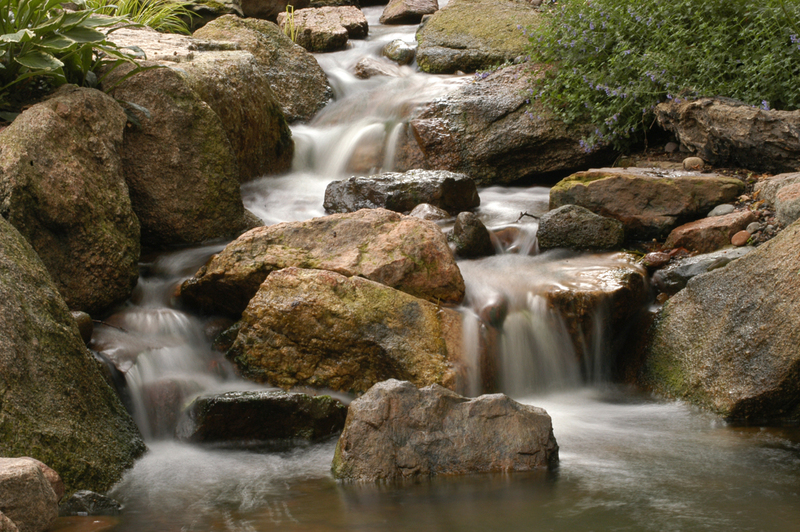 All the water is caught in the under ground basin at the end of the falls and holds about 300 gallons of water making the need to refill very seldom, this could also be used in rain harvesting as well. We can build basins to hold 100 gallons or 10,000 gallons – all tied into your gutter system. 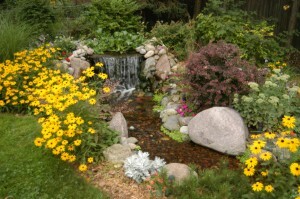 10.This is a pondless water garden great for an entertaining area. With a top waterfall height of 3 feet above ground level, cascading down thru a winding stream about 20 feet. This one is sure to please. Approx. price fully landscaped is around $8000.00 can be upgraded to have a koi pond. 11. This is a pondless waterfall built with larger stones, a small river and landscape. approx. price for this one ( Water does not actually look like this in real life, just in the picture) $8000.00 landscaped and lighting. 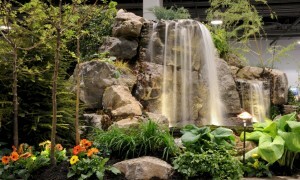 12.This is a pondless waterfall with landscaping, 3 levels of cascading waterfalls over a 10 foot stream and landscaped. 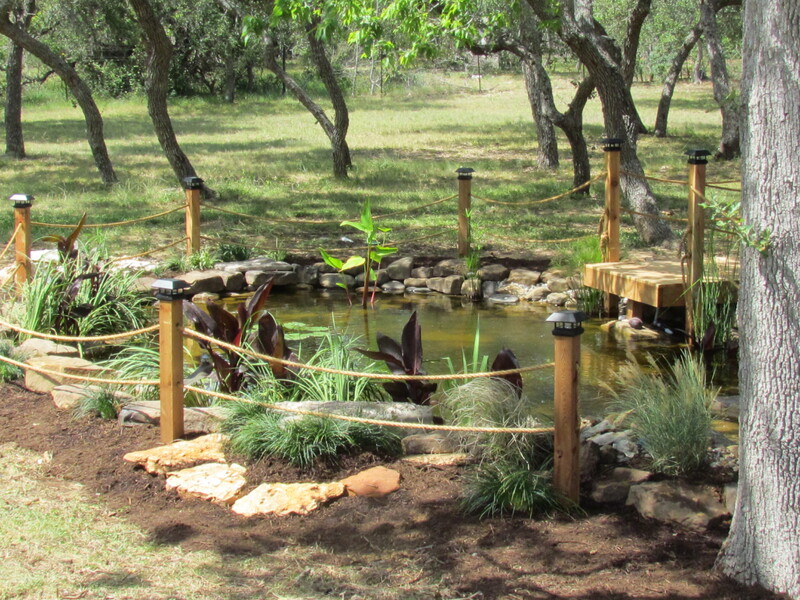 can be upgraded to a 3000 gallon pond for $12,000.00 landscaped. 13. 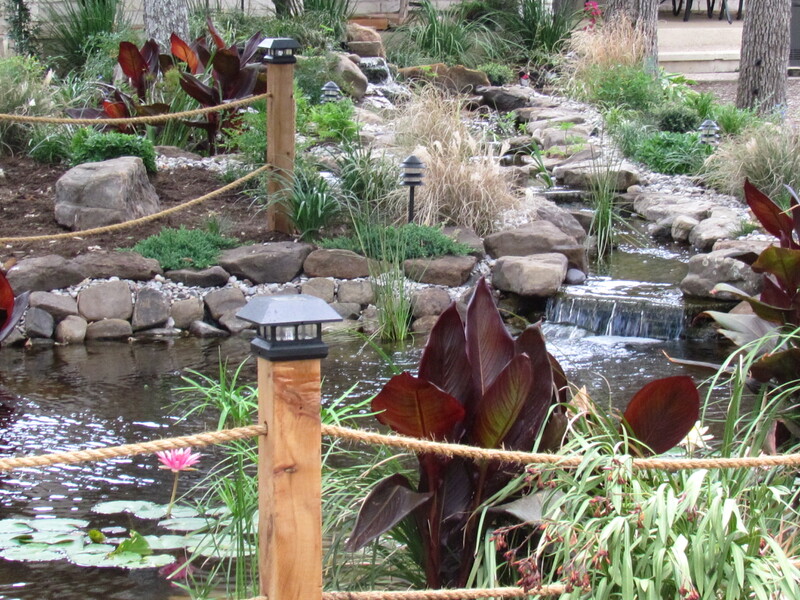 This is a koi pond with cascading waterfalls and a stream flowing into the pond. 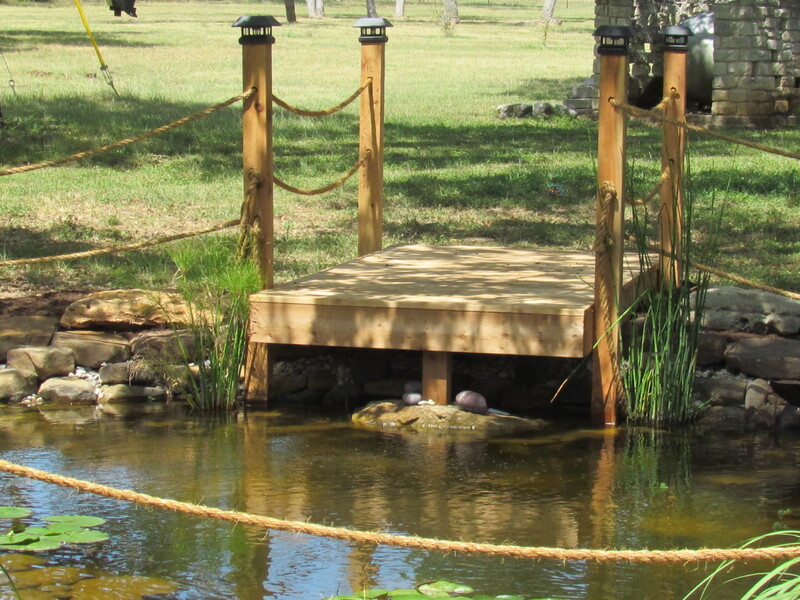 The bridge and walkway are additional accessories to complete this back yard getaway. 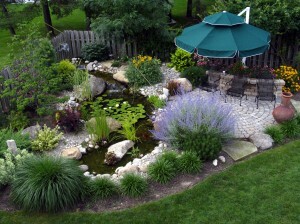 Only a flat yard is need to create this water garden. 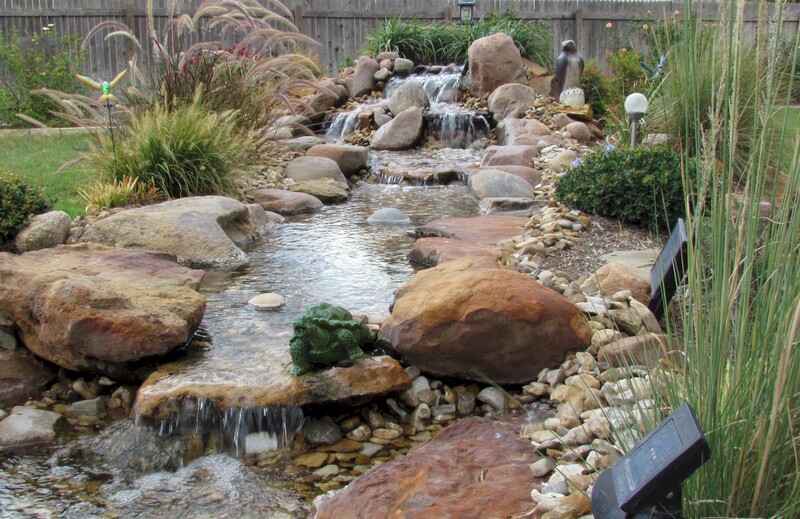 This water feature can be pondless or a pond either would be a great addition to a back or front yard. Approx. 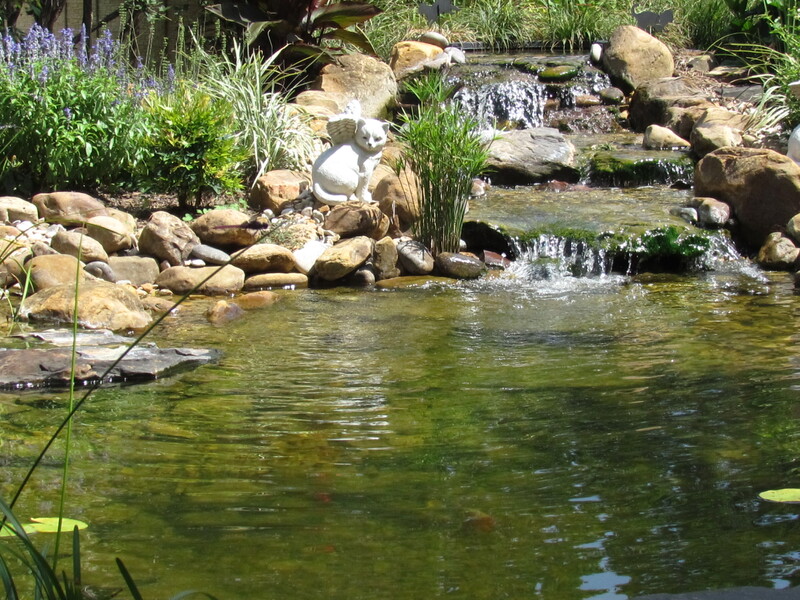 price for this pond is around $17000,00 but can be made pondless for around $7000.00. includes landscape and lighting. 14. 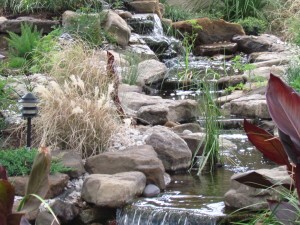 This is a pondless waterfall and stream. This pondless system is great for a front entrance or a back yard. this pondless water garden needs a small slope to create the cascading waterfalls. approx. 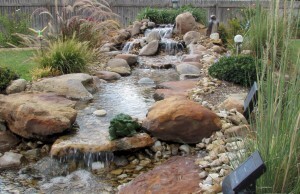 price for this pondless river is between $7500.00 and $8500.00 with landscape included. 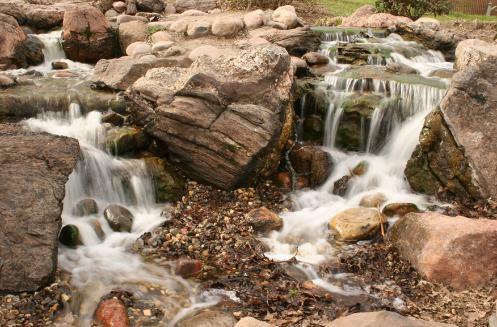 15.This is a pondless waterfall with a 14 foot winding stream. this water feature will also be fully landscaped and could have outdoor lighting. Only a flat yard is required for this small beauty. Approx. price is around $4000.00 for everything you see here. 16.This is a pondless river with numerous cascading waterfalls, at the top the main waterfall is split into a double waterfall. 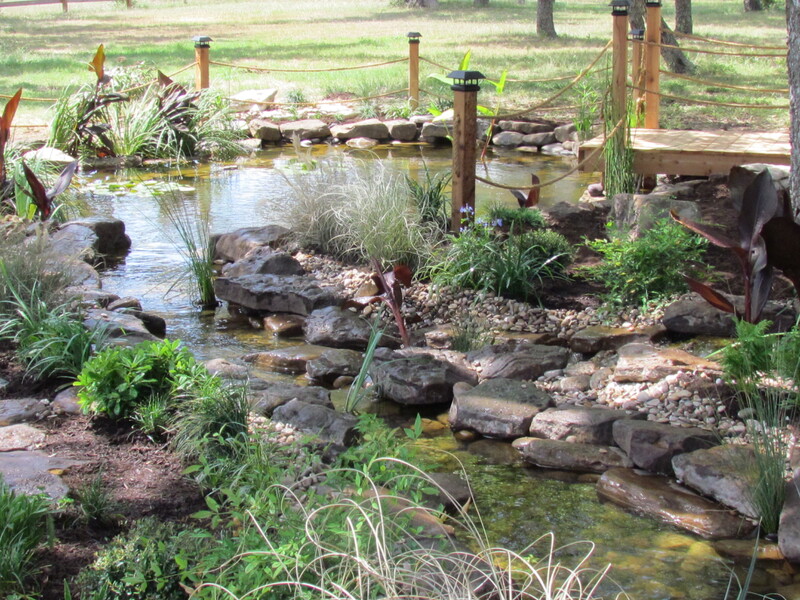 Adding extra things like a broken log completes the look to this magically flowing river. 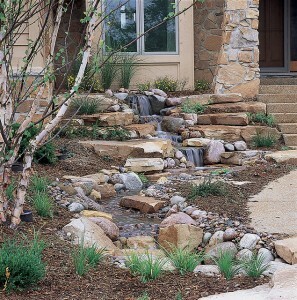 Only a small slope is needed to create this or the lawn can be built up to accommodate the feature. 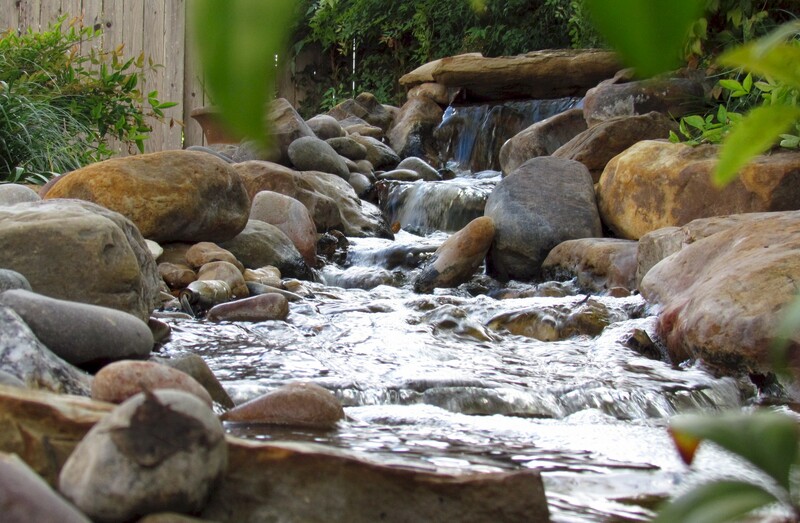 This pondless river would be most optimal in a wooded backyard. Approx. 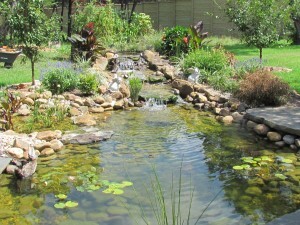 price for what you see in this photo is around $8500.00 with slope on property and upto $10000.00 if slope is needed. 17. 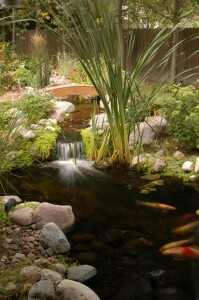 This is a koi pond but can be made pondless. A slope is needed to create this natural cascading river. Larger rocks will need to be used in the making of this one, and with a 15×15 pond makes this the ultimate getaway. approx. 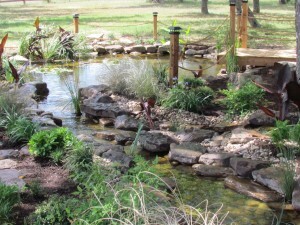 price for this running river is around $9500.00 pondless or add the pond for an additional price depending on size pond you desire. 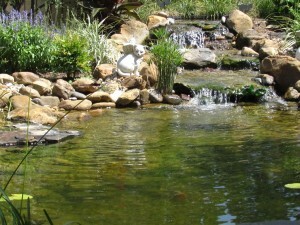 Minimum pond size is at least 5000 gallons to handle receding water flow. And finally #20. 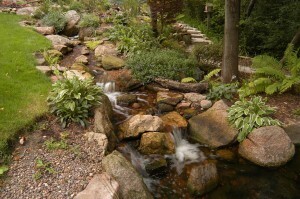 This 35 foot winding stream with plant bog could be pondless. There doesn’t have to be a slope for this one we will create the slope. 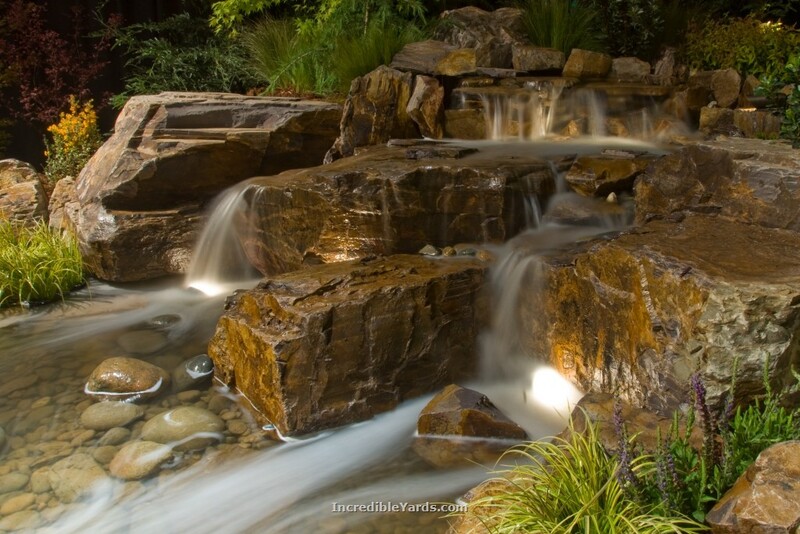 this stream is fully landscaped and outdoor lighting. 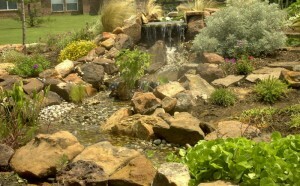 Approx price for this is around $7000.00 plus bog and landscape plants. 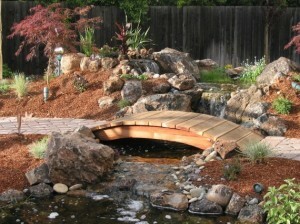 This can also be turned into a pond instead of pondless for $13,000 depending on the size of the pond and accessories. For The most part my price page will explain how the pricing is broke down into categories.